I love Pinterest- how about you? It’s such a great way to save photos and links that you might want to refer to again. For example, have you ever read a really great article or tutorial, but when you try to find it again later, you have NO idea where it was? Or maybe you have a “bookmarks” bar on you browser, but it’s so disorganized you can’t find anything- or you can’t tell what the web page is about based on the link address? Maybe you are looking for ideas for making a pin cushion- but don’t have any idea how to efficiently organize all of those ideas for later when you actually sit down to make your project? Have you ever tried to find an efficient way to “store” all of the delicious chicken and casserole recipes which are available all over the internet?? This is where Pinterest comes in handy. 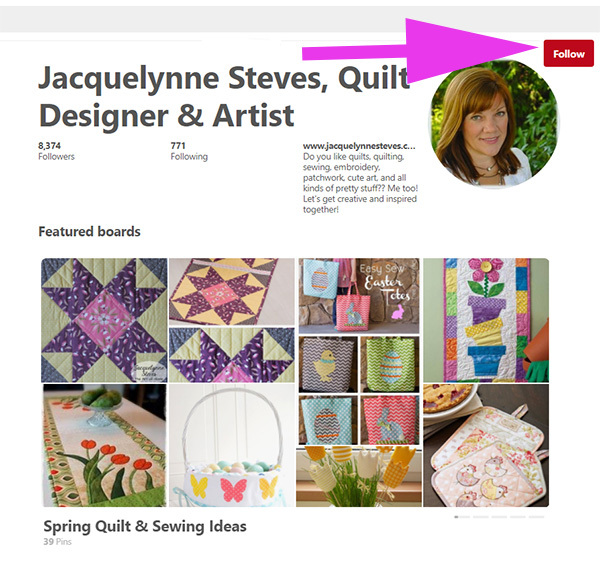 Pinterest is a way to organize web addresses and images so you can find them later. Think of it as an “online bulletin board” where you can “pin” photos and ideas in an organized way. 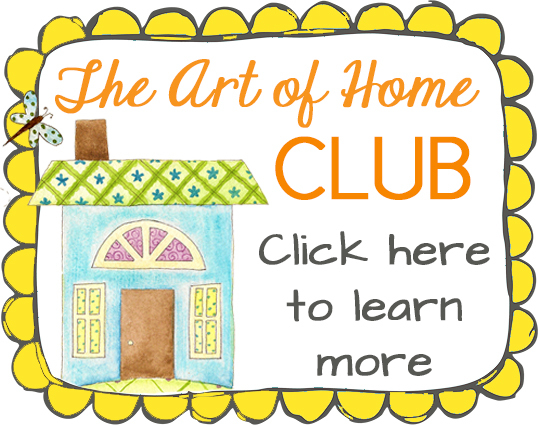 Lately in our Sew Quilty Friends Facebook group, we’ve had a few people mention that they have no idea how Pinterest works. Ideally, when you click on a “pinned” image, it will take you to a web page where the image originally appeared and you can get more information about it. For example, you might see something you are interested in, like a quilt, and you are hoping that you can click on the pin and it will take you to a page where you can buy a pattern, or purchase the quilt itself, or perhaps read about the quilt in a blog post. Unfortunately, sometimes, the link won’t take you to a page with more information, and you are left wondering about it- it can be a little frustrating. But I have found that about 95% of the time, pin links WILL take you to a page where you can find more information about it. And if you can’t find more information, the images can help to inspire you- maybe you can’t find that exact quilt pattern, but the colors and fabrics in it might inspire you and give you some ideas for your next trip to the quilt shop. I have lots of different Pinterest “boards” (remember- just think of them as online “bulletin boards”) for quilt ideas, pin cushion ideas, Christmas decorating, dessert recipes, cute animals, inspiring quotes, and so much more… when I’m looking for inspiration, Pinterest is usually the first place I go. You can also do searches in Pinterest- just type in “Christmas stocking pattern” and see how many ideas and images pop up! Want to see what my Pinterest boards look like? Click here and come “visit” me! Then be sure to follow me on Pinterest! 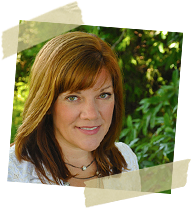 This article was posted in Art-Design-Business, Featured, Videos. Bookmark the permalink. Follow comments with the RSS feed for this post.Post a Comment or leave a trackback: Trackback URL. thanks, you have made it easier to understand. I think now I could make good use of Pinterest. Thank you! That was a great tutorial and I understand Pinterest a lot better. Making boards and pinning starting soon! 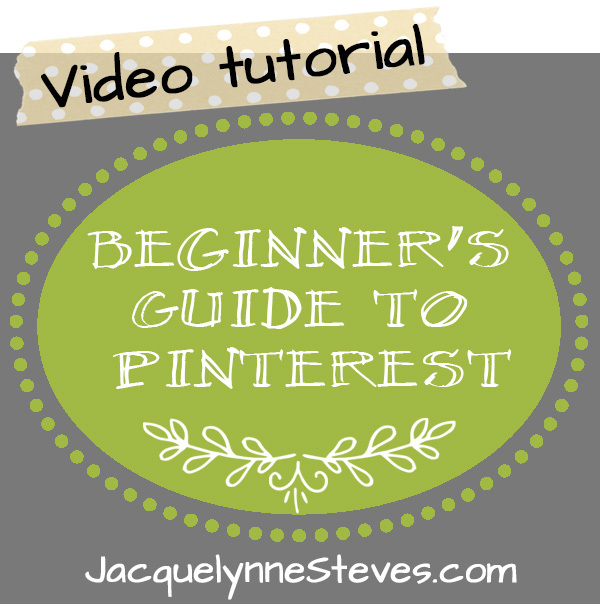 This is the first tutorial I’ve seen for pinterest and it’s opened my eyes to a new adventure. I thank you and my shelves (which will no longer have printed pages of ideas hanging around) thank you. Thanks. That video was very helpful! Meant see in south Africa out seasons are opposite to yours. Very amusing to be talking about spring when I’m lying here in winter pyjamas.